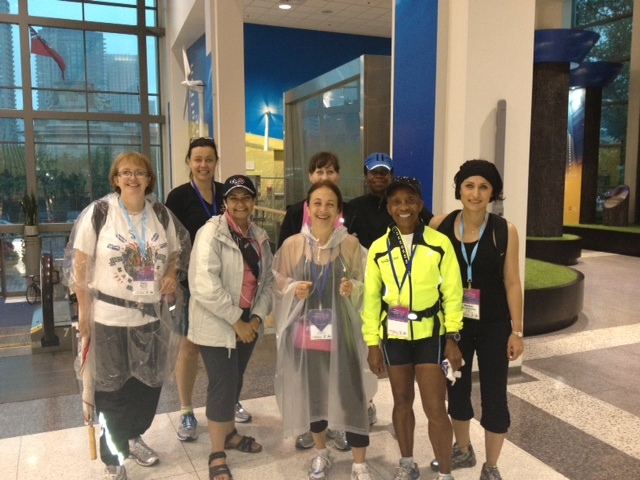 The team was dripping wet from the rain on Saturday morning, but spirits were high as they left the starting line at the Prince’s Gates at the Canadian National Exhibition and began their 60 km trek from the lake and made their way up to Downsview Park, and then back again on the Sunday. The Lab Lifesavers team consisted of Dr. Sylvia Asa, Yvonne Bedford, Brad Davis and Michele Henry from administration, Marjan Rouzbahman from Pathology, Sally Balmer and Stephen FitzGibbon from Blood Transfusion, Dianne Chadwick from BioBank, Shawn Brennan from Cytogenetics and Nayana Sondi from LIS – together the Lab Lifesavers raised $32,620 in the fight against women’s cancers, coming in at #43 of 612 corporate teams. According to the team, Day One was the toughest due to the heavy downpour of rain. 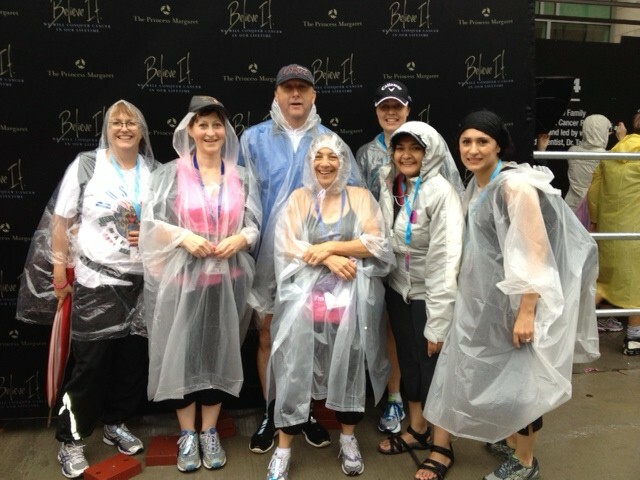 They were all decked out in rain ponchos, but their shoes were quickly soaked due to some ankle deep water that had flooded near the Lakeshore. 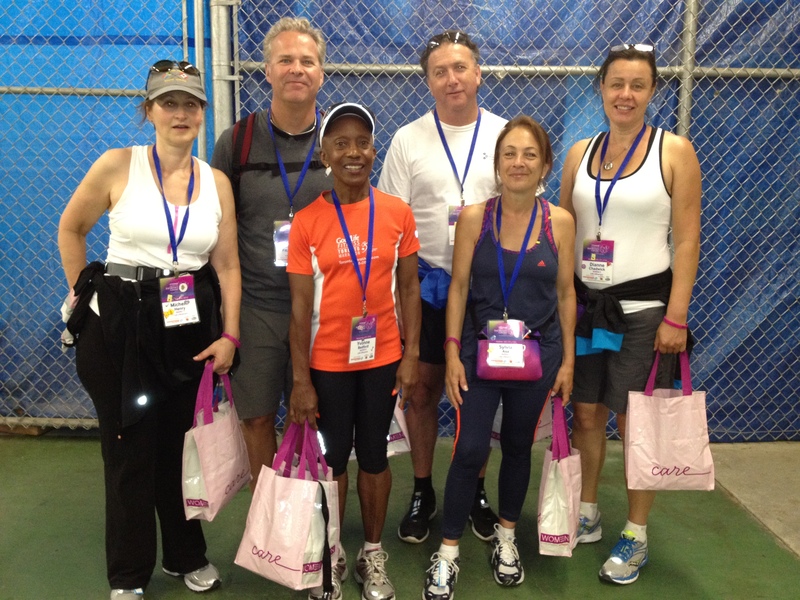 While the majority of participants walked the first 32 km on Day One, Yvonne broke from the pack and ran the entire thing on the first day – all 32 km – and made it up to Downsview Park before some of the organizers. This was the first year that the labs participated as a team, but for the past ten years, the Weekend walk has raised over $120 million for the Princess Margaret. These donations have gone to good use as there have been groundbreaking strides in the fight against women’s cancers and thousands of lives have been saved over the years. 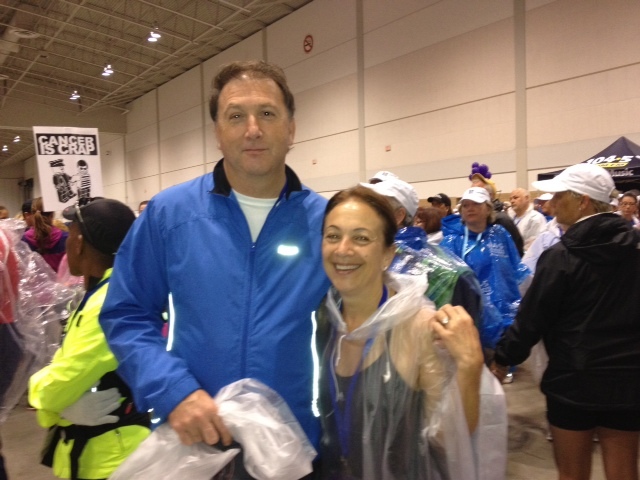 According to Michele Henry, “I’ve volunteered at the event before, but it was a whole different experience doing it as a walker. I participated because the Lab Lifesavers was a great team event, but I mostly walked in honour of my mom who was treated at PMH for gynae cancer. If she could have radiation every day for months, I could walk 60K for a great cause. On Day Two, the weather was much better for the walkers as the sun was out and the temperature was comfortably cool. The trail went through Humber Park and Bloor West village and along the boardwalk on the lake. 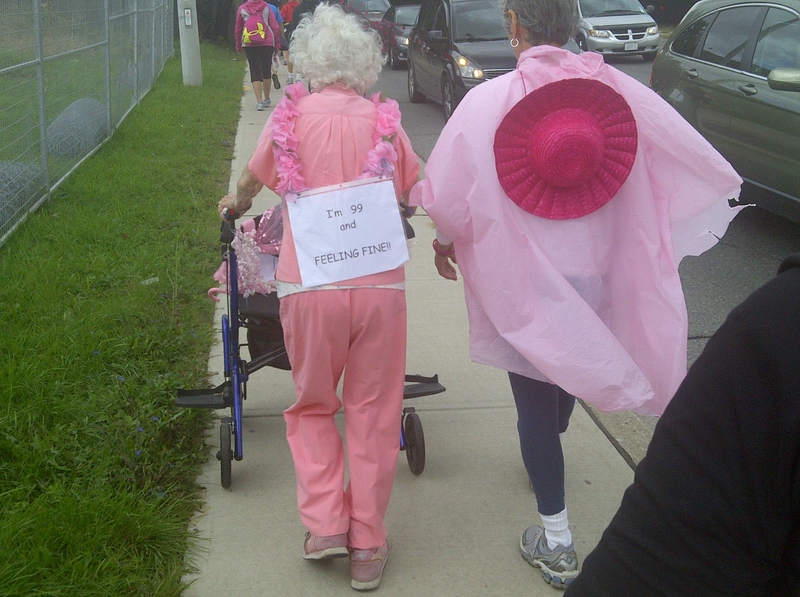 When the team reached the 60 km mark at the CNE, supporters were lined up on both sides cheering everyone on. It “made us feel like Olympians!” said Dianne. 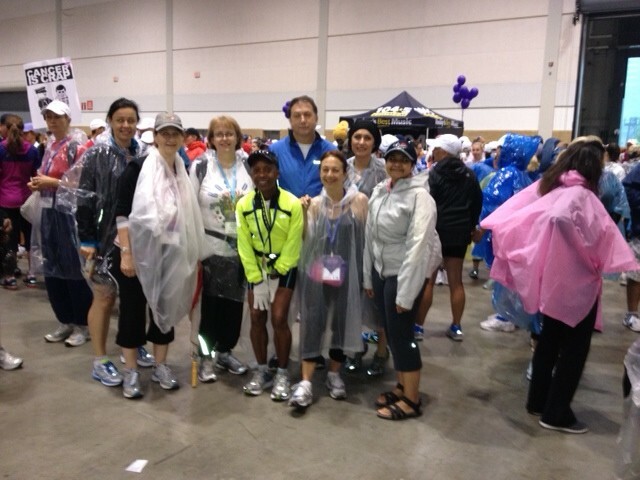 The Lab Lifesavers team was led by Dr. Sylvia Asa, Medical Director for the Laboratory Medicine Program and she is incredibly proud of the team, the funds the team raised for the Princess Margaret, and seeing how many people came together to support the fight against cancer. 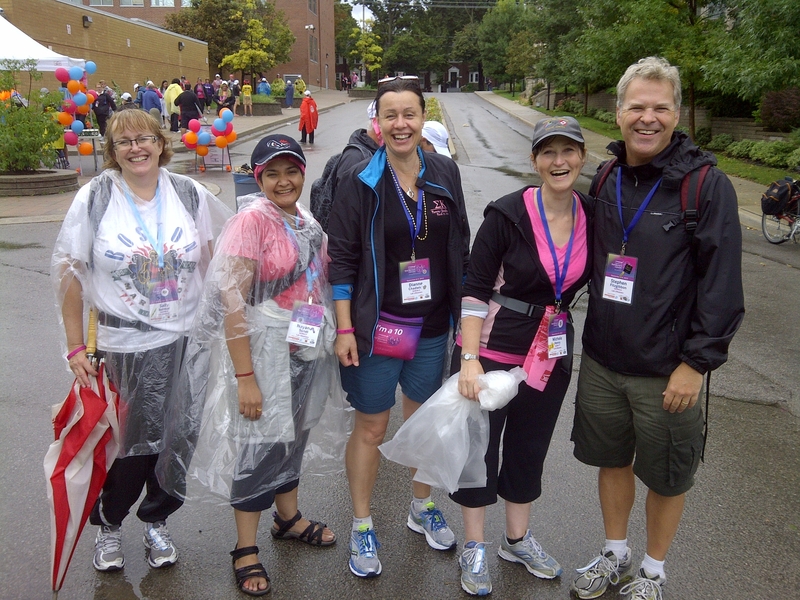 “Walking with our team was very inspiring – and seeing all the other teams and groups from other organizations and businesses really made us feel like we were part of a big movement, making a difference in the fight against cancer,” said Dr. Asa.